Did you know Abundance has more than 150 items available for purchase in bulk? In addition to nuts, legumes, and grains you’ll find a range of flours, nut butters, honey, spices, tea, cooking oils, Dr. Bronner’s soaps, laundry detergent, and even shampoo and conditioner. Shopping bulk is economical and environmentally friendly – bulk products tend to be less expensive, you only buy what you need and items don’t come with all the extra packaging that ends up in our landfills. The lack of packaging also means less manufacturing goes into that product further reducing emissions associated with production. 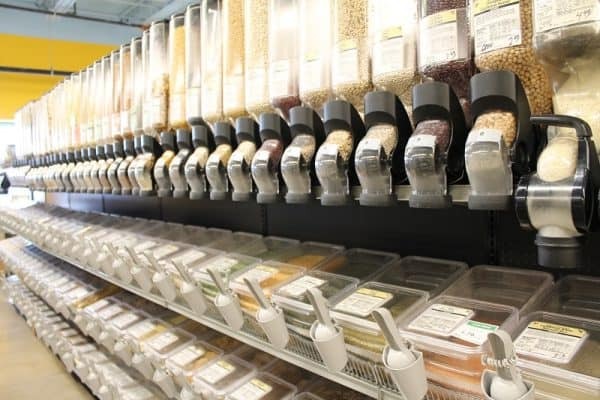 Don’t forget – you can bring your own containers to fill when you shop bulk at Abundance or you can purchase containers here that can be recycled or reused.